There are many variants to this game. If you have never played, a basic version is explained here, although our house rules are a little different. We don’t play points – first one out wins. Queen of spades = next player must pick up 5 cards and add them to their hand. Playing a 2 = next player must pick up 2 cards and add them to their hand. If two 2’s are played in a row, the next player must pick up 4. Jacks are miss a turn, and 4’s are change direction – if players were taking their turns in clockwise order, then order is now counter-clockwise and vise-versa. 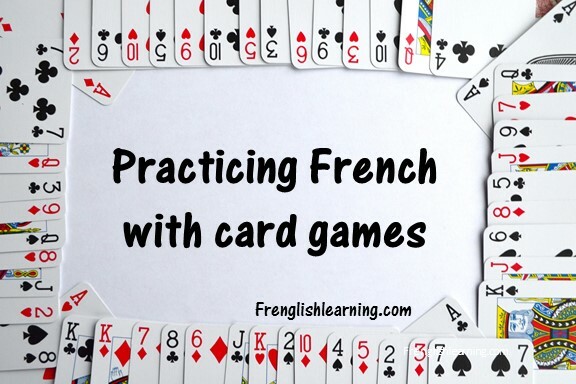 To add French practice to crazy eights, each player says the number of the card they lay down in French as they play it. This game was a recent discovery for us. It’s quite interesting and a good option for 3 players. If you’ve got 4 players, euchre is a great game that you’ve probably already heard of, but you need exactly 4 people, which isn’t always possible. So, for 3 players, try knaves. Deal 17 cards to each player. Turn up the remaining card and leave it face up on the table. The suit of that card is trump. In French, trump is called “atout”. The person to the left of the dealer leads the first trick. Other players must follow suit if they can. If they can’t follow suit, they can play whatever they want. The highest trump played takes the trick. If no trump cards are played, then the highest card of the suit that was led takes the trick. Scoring: Each trick taken = 1 point. However, if a player takes a trick with a jack (knave) in it, he/she loses points from their score. Jack of hearts = -4 points, Jack of diamonds = -3 points, Jack of clubs = -2 points, Jack of spades =-1 point. The first player to reach 20 points wins. what’s trump = c’est quoi l’atout? This site has a free printable pdf game that uses French cards. Each card has a picture of a female scientist, along with a short description of her contribution to the field. There is a specific game explained on the site that you can play with the cards – you basically try to build laboratories with members of specific fields. Instead of printing the cards, I decided to buy them. We play cards a lot and on the site it said that the cards can be used for regular card games as well because they have the traditional number and suit markings on the top left side. I had visions of playing cards and having side conversations in French about female scientists. Sounds great, right? Well, not so much. The problem with the cards is that the number and suit markings are so small and the font is so “cluttered” that they are really hard to see. I was squinting and double-checking the numbers each time we used them. 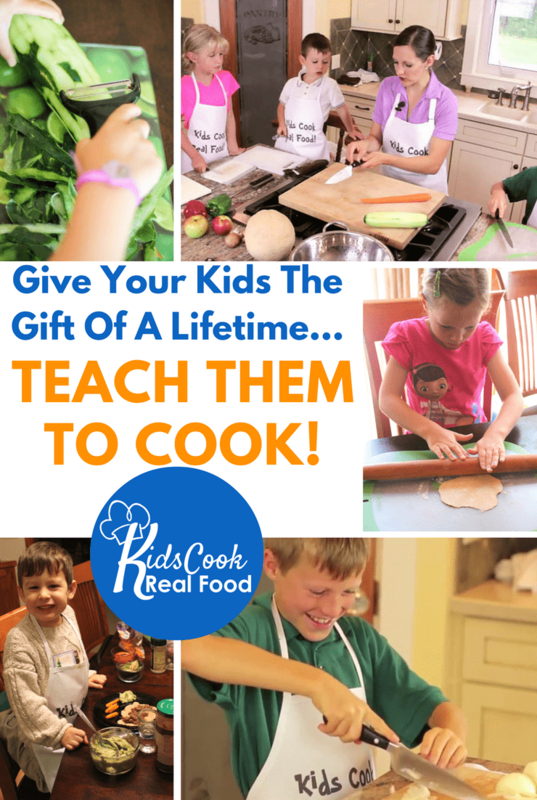 I thought it was just me getting old but my kids had trouble too. So, I would definitely recommend using the free printable version to try them out before buying. Does your family enjoy playing cards? Would you consider speaking French while you play? 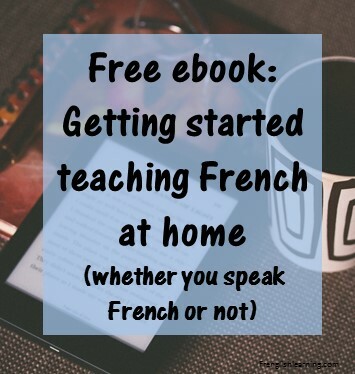 This entry was posted in 11+ years, 4-6 years, 7-10 years, Advanced, Beginner, Bilingual parent, Immersion, Intermediate, Other, Parent speaks no French, Parent speaks some French by Leanne. Bookmark the permalink. Will be starting to teach French to 6-11 year olds and I require games and ideas for games.